And you want that life! Imagine how amazing it could be if you could just snap a picture and earn money from it! Now that you are reading this, you can too! 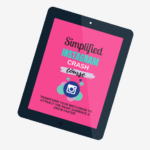 Cz I am gonna show you exactly how you can make money on Instagram almost instantly! Back then, when I read blogs on “How I made $xxxx in my first month of blogging”, I always thought that this is far from real. S/he is doing this successfully because she has an engaged following and because she is already successful. Her audience might be huge fans of her to buy every product she recommends. So I thought I should first build my authority and then start promoting things. When I joined my first affiliate link (…yes, I used an affiliate link), and promoted it, I made my first $100 ($102.4, to be precise) within 3 days with only 930 followers. That was when it hit me, you don’t need a huge following to earn money. You just need to put down a strategy and simply follow it. Disclosure: Some of the links are affiliate links, meaning, at no additional cost to you, I will earn a commission if you click through and make a purchase. I’ve read many blogs that say “How I earned $x in my first x months of blogging”, but soon people are going to read blogs on “How I earned $x in my first x months of Instagramming“. And those blog posts would be written by YOU. If you don’t know what is an affiliate link? An affiliate link is a link to a product or service and is unique to you. You receive a commission for every sale that is made through that link. ✅ Ready to boost your affiliate sales? Click here to read the guide on how to make YOUR OWN first $100 this month.. This is the guide that encouraged me to START making money through affiliates! And by following the steps from FROM ZERO TO SUPERHERO I was able to make my first $100 on Instagram. Whenever you use an affiliate link, you should always, always, disclose it to your audience that you will receive a commission if they buy from your link, with no extra cost on them. And this is pretty much easy in Instagram. You just need to use a hashtag, either #affiliate or #affiliatelink into the caption. As simple as that. Never ever try to sell something that you haven’t tried or will never use. Always recommend honestly. If you already have an engaged following or you are trying to build one, people are only looking for honest opinions. You need to build their trust. And they will only listen to you and buy your recommended products if they feel it is genuine. This will help you long term. If you’re wondering how I managed to make money from so less followers, this is the most important tip you need to know. If you ever want to make money on Instagram, you always want to make sure that you have a very niched audience. To do so, you need to post around a niched topic. Like for me, I post around Instagram tips and hence, my followers are the only ones who are interested in knowing Instagram tips. So, if I recommend a product that will help them along their Instagram journey, they are going to love it! And that is what helped with my first $100. Coming to the second point, I drove targeted Pinterest traffic to my “affiliated” Instagram post. Obviously, if you have a small following, very few people are going to go and check that link in your bio. And hence, you’ll make less money. But, what if I told you there’s a workaround to this? You can make people visit your post directly and then they will go and checkout your link in bio! And all of this can be done by Pinterest. Now, you might be thinking why am I asking you to promote your Instagram post on Pinterest? That’s because the Pinterest-Instagram combination works really well. ✅ This is something I’ve tried and tested myself, and it works amazingly. And I must say that this works though it might sound silly! Try doing it yourself and then tell me how it went! 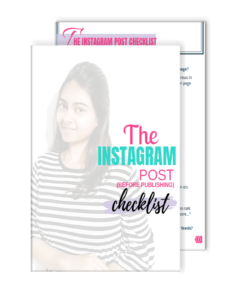 One of the major advantages of this is, when your source URL is Instagram on any pin, that pin becomes a rich pin (which is one of the major things to make your Pinterest pin take off). You don’t have to use the same Instagram picture on Pinterest (and you shouldn’t). Your Pinterest image needs to be tall. Ideally, with 2:3 ratio of width:height. Add your Instagram image into the Pinterest image. And add some convincing text onto the Pinterest image. This text should make people click on it. Add your Instagram post URL into the URL section of the Pin you just created. Add some keywords related to your image in the image description. Pin your image strategically on several Pinterest group boards (15 recommended, with some relevant time interval in between). If you don’t have a strategy, this is the Pinterest strategy that I used to make my pin take off. 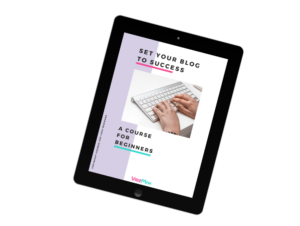 I love this strategy because first, it made me money, and second, because it drives my blog and Instagram free traffic and likes! Not a bad deal, is it? Check out this strategy to get the same results as mine! Champion Tip: Pinterest images usually take 2 days to take off, so you need to keep sharing these pins extensively for 2 days and don’t change that URL on Instagram for at least 3-4 days if you really want this to happen. If you are already using a product or service that might help your audience, find out if there is any affiliate program available for it. ✅ To find a program, just search “[Your product/service name]” + affiliate link” on Google. Or, if you don’t use a product that might help your audience, start doing some research on the influencers in your niche. Go to their websites and find out which products/services they are promoting to their audience. A good way to find this is in their “tools” or “resources” page. This page would be filled with their affiliate links. Once you have found a few products/services to promote. Go and join their affiliate programs. Some of them will want you to have a website, some of them won’t. Also, for some of the affiliate programs your application needs to get approved by them. So this might take a while as well. This is one of the best affiliate programs I’ve used so far. This affiliate program does not want you to sell anything. You get $1 for each referral – no selling required. ✔️ You don’t even need to buy anything to join this affiliate program. You can earn 40% of each sale you make. This will turn out to be the best converting affiliates for you. It includes “bundles” for different niches. 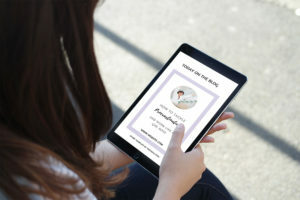 If you’re a beauty blogger, parent blogger or even blogging blogger, they have something for you over there. Many of these bundles come for several times in a year. So make sure you check the upcoming bundles so that you can create a good post beforehand and make use of that bundle. 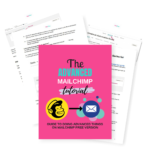 Plus, did I tell you that you get a complimentary bundle for yourself when you make 5 sales? It’s a win-win. ✔️ Join this network for FREE here. It’s a very popular network with over 4000 merchants in over 40 different categories. I recommend every blogger to join this network. It’s easy to join and there are high chances that you will find products related to your niche. ✔️ Join this affiliate network for FREE here. 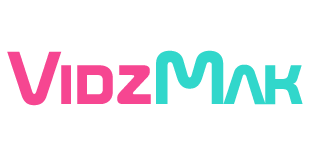 This is a marketplace where you will find many products to become a part of affiliate program. All products have their own commission percentage. This is the best platform for newbies. You don’t want to miss this one. This is the most easiest platform of all! Want more affiliate programs to join? ✅ Click here for a list of 500 more affiliate programs to join. Not every high-quality picture that promotes an affiliate earns a good amount on Instagram. Some even earn no money at all. For your affiliated Instagram post to take-off, you need to make sure that your picture is eye-catching and your caption is convincing. People get instantly interested in pictures that show huge transformations. These can be immensely useful to makeup artists, hair dressers, beauty specialists, organizers, weight loss/gain, etc. Look at this picture from @minapapadopoulou. Don’t you wanna read it’s caption and know how this major transformation happened? Such transforming pictures make a huge difference. You see the number of likes on this post? People see 100s of pictures on Instagram everyday. If your post does not stand out, or if it is not eye-catching, they are gonna keep scrolling. You need to first catch their attention through a transformational image. This will make them stop, read your caption and take action. We’ll get back to writing a perfect and convincing caption in a while. But let me first show you a second way for an eye-catching Instagram post. Not every transformation is visual. Your niche might be something where a before and after post does not work. Here’s where text overlay image comes into play. Text overlay images are those that have text written over it. But, for your post to really take off, your text should be extremely interesting to your audience. It’s not a before and after picture. But the image is eye-catching. Plus, the text is convincing. Anyone who wants to reduce hip dips would want to know about this program and would happily buy anything that promises to give results. Now, I want you to be creative here. You need to think about your audience and hit their pain-point so that they get extremely interested in your picture. In the above picture, the pain point was: “hip dips”. And look at the likes the picture has got. 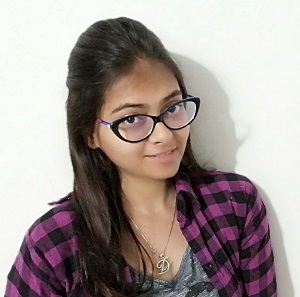 Now, think about how do you create the title for your blog post. You always think about what would attract your audience in, right? The same thing works over here too. Get in their heads and think about how would they be interested in this product? A smart way to check if your text will work or not is by using the Coschedule Headline Analyzer. 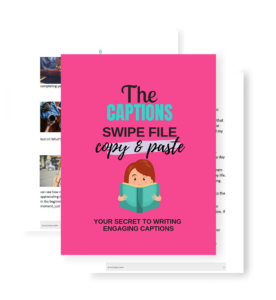 You can download their free swipe file of power and emotional words that will instantly make your text compelling. Now that you know how to make your image attractive, you need to make sure that your caption keeps up with the promise made by the image… Let’s make your captions perfect 😉 Shall we? You know that only the first 2 lines of a caption are visible until someone hits that “more…” button. You need to make those first 2 lines so compelling that your audience wants to hit that more button. A good way to do this is by hitting their pain point. Think of what pain does that affiliate product solves and use that as your pitch in the beginning of the caption. After that, you need to share a transformational story about how that product/service changed lives. The story could be yours or of one of your client’s. Stories draw people in. They might forget your name at a point but they will never forget a story that touched their hearts. So you need to make sure that your transformational story is something that your audience can relate to. Once your audience can relate to your story, they are already sold! You just need to give them a nudge to make that purchase. To do so, you need to prove that the money they are putting in – is an investment of a higher return. After that you want to tell them that the link is in your bio. Make sure you write your Instagram handle there so that they can easily navigate to your bio. Note: Whatever you do, make sure that your caption is not too large. People will skip them! Try to cover everything in a short caption. Think smart! Champion Tip: You can take some text from the sales page of the product and use them in your caption. The sales page is always highly optimized to make more sales. Using some of those sentences into your caption will make it more convincing. If you need help with creating a good caption that converts your audience into buyers, I have created a caption template. 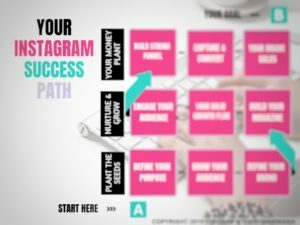 This template will work as a road-map for you to making money on Instagram. 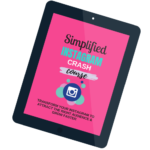 Tired of Writing Instagram Captions and making no Sales? To get maximum eye balls on your eye catching post, you need to make sure that you use all 30 hashtags. (Instagram only allows maximum of 30 hashtags in a post, and I want you to use all of them). Add the hashtags that you think relates to the post. For maximum result, you need to know how to research for the Instagram hashtags. 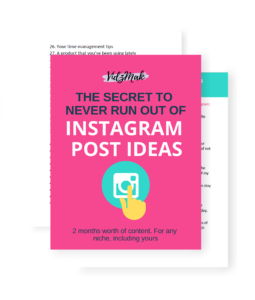 Here is a post on how to research Instagram hashtags to get maximum output. Don’t forget to add the #affiliate or #affiliatelink hashtag. Add your geographical location. It gives your post even more exposure. Tag accounts that you think relates to your picture (this doesn’t mean to spam people, obviously). In fact, you can even tag the person’s Instagram account whose product you are promoting. Most of the times, these people (whose product you’re promoting) will share your post with their audience, giving your account more exposure. You’ll gain engagement and new followers this way. Hence, I highly suggest you to tag the person whose product you are promoting. Your post will get extra exposure if you can make it Go Viral. And there is a 5 step proven strategy to make your post go viral. 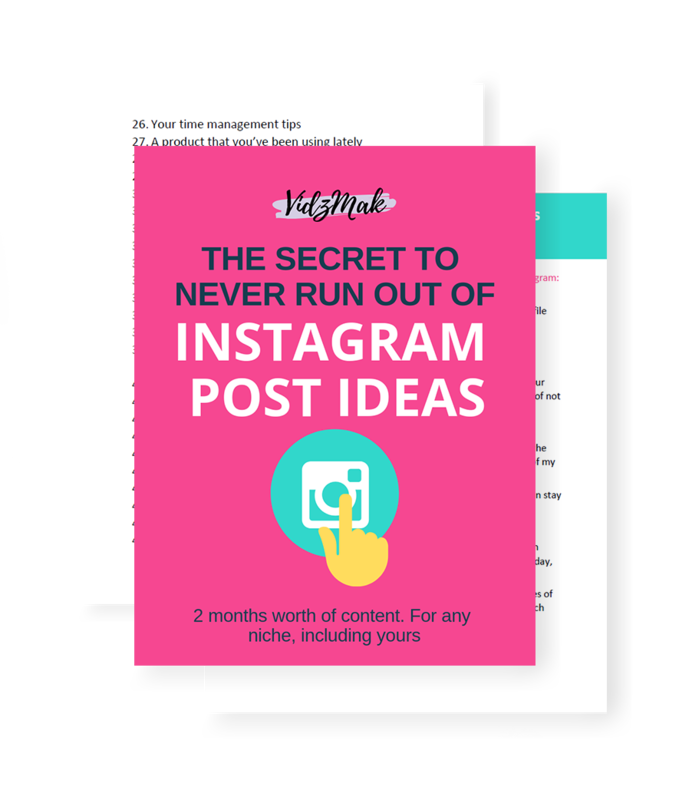 Read how to make your post go Viral on Instagram. Now the last thing you need to do on Instagram is to add your special and unique affiliate URL in your Instagram bio. You can’t add that URL directly. That’s because that URL contains random numbers and alphabets which will look spammy. So, you need to shorten your URL. You can use any URL shortener, but don’t use bit.ly for affiliate links. Bit.ly blocks affiliate linked pages and your audience would not be able to see them. It would be a wasted resource then. There never would be a good time, you just have to dive in. For a long time I was just waiting to make everything perfect before I start making money. And once I started promoting, I earned $102.4 in 3 days. That’s not a huge deal. But think about how much I could have earned if I had started using affiliates from day 1? I have this one thing to tell you – JUST START SOMEWHERE. Don’t wait for everything to be perfect. When you’ll make your first sale, it would inspire you more to start living the dreams you had been dreaming of.